Our body is made up of many different parts that talk to and work with each other. 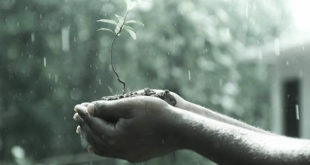 Our overall health depends on these systems working in harmony. 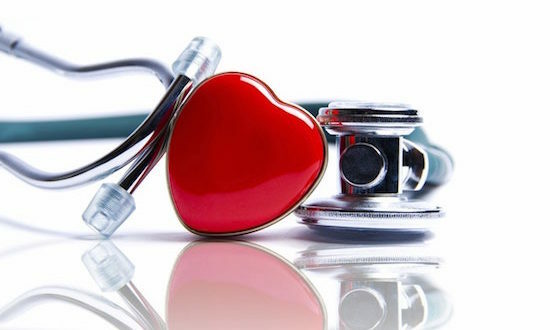 The digestive system plays an important role in supporting many other areas of our body, including our brain, our immune system and our weight. Not only do probiotics help maintain optimal gut function and comfort, they may also bring about positive changes in other areas of our body that depend on a healthy digestive environment. Probiotics are beneficial bacteria that live in the digestive tract. They aid digestion, support immunity and help to keep potentially harmful organisms at bay. Probiotics can be found in fermented foods such as sauerkraut and kombucha, and cultured milk products like yogurt and buttermilk. Our gastrointestinal tract (commonly referred to as our gut) is a huge contributor to our immune system, and there are actually more immune cells in our gut than anywhere else in the body. This is because many common bugs enter the body through the gut. The gut can also produce chemicals that boost the body’s defences against them. Studies have shown that having balanced gut bacteria is important for a healthy, strong immune system that can effectively ward off bugs. An imbalance in these bacteria affects the way our immune system works. By helping maintain normal gut bacteria, probiotics support an optimum immune system, and can help reduce the risk and severity of common ailments by supporting the bodies response to allergens, ills and chills and digestive discomforts. One of the more popular areas of scientific research into gut health currently is the gut-brain connection, which looks at how the brain and gut communicate, with studies suggesting disrupting gut bacteria may disrupt this pathway. Researchers are proposing certain probiotics, which aim to restore normal gut flora, may be helpful in positively supporting brain function, and may help to support your response to stress. Research suggests that probiotics may have a positive influence on healthy body weight and body mass index (BMI). 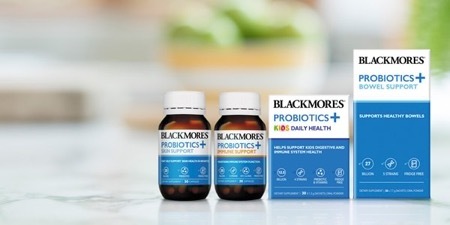 Products in the Blackmores Probiotics+ range have been formulated with specifically selected probiotic strains, supported with prebiotics and vitamins to complement the probiotics, to support digestive health and particular health areas such as immune, skin, and bowel function. A specialised formulation process and packaging technology helps keep the good bacteria alive. For more information on supplements or to speak to a Blackmores Naturopath, phone the Blackmores Naturopathic Advisory line on 0508 75 74 7.